This tasty dessert (or breakfast?) is so quick and easy, it can barely be considered a recipe. Because I didn’t think of it myself, I’ll assume you didn’t either. And here we are. There are a multitude of very slightly different versions of this exact recipe everywhere; this is the version I prefer. One of the other nice things about this recipe is that it can be made normally – in other words, unhealthy – or in a reduced guilt version. Just substitute reduced fat croissant rolls for the regular ones and omit the butter, and just like that you’ve got yourself a low(er) calorie treat that’s equivalent to about one Weight Watcher’s point each. Normal people don’t assemble their ingredients ahead of time. Only bloggers are this weird. Preheat your oven to 375 degrees F. Sorry about the double-wide remark in the ingredients list… It was out of line. You can bake these cinnamon rolls in a single-wide just as easily. 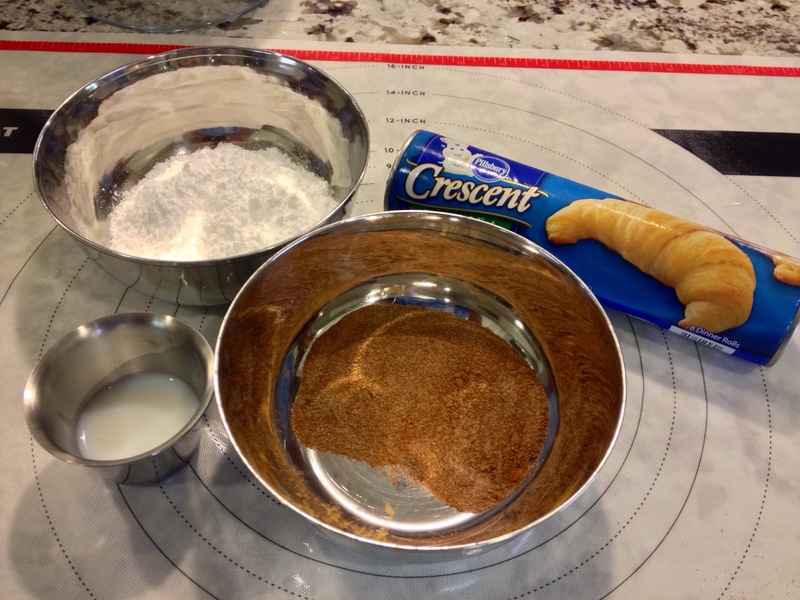 Anyway, open the tube-o-crescent-rolls, unroll the dough, and separate it into two sections as shown below. 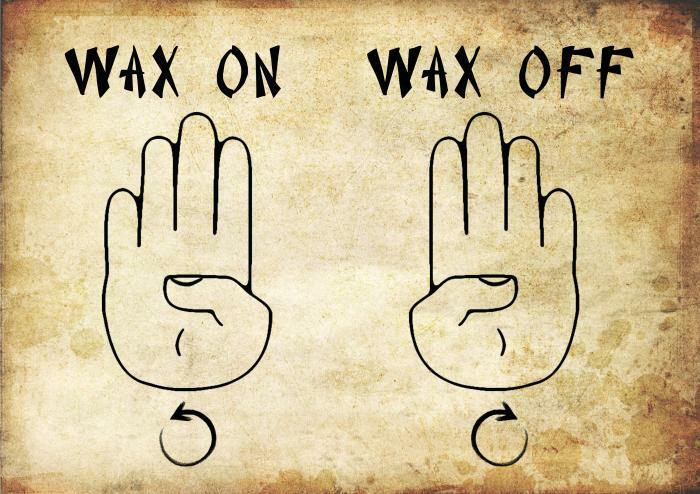 Using your fingers, seal the perforated seams so that you are left with two solid sheets. The contents of a pressurized dough tube, known on the street as a ‘trailer park stun grenade’. Mix together the cinnamon and granulated sugar in a small bowl. Brush the first section of dough with half the butter and sprinkle on half the cinnamon sugar mixture; repeat with the second section of dough, using the other half of the butter and cinnamon sugar. Roll up the sections of dough starting with the long sides, keeping the roll as tight and even as you can. Don’t feel bad if you screw one of them up, because there’s an above average chance you will. I did. Seal the trailing edge of the dough against the rest of the roll by pinching it into place with your fingers. 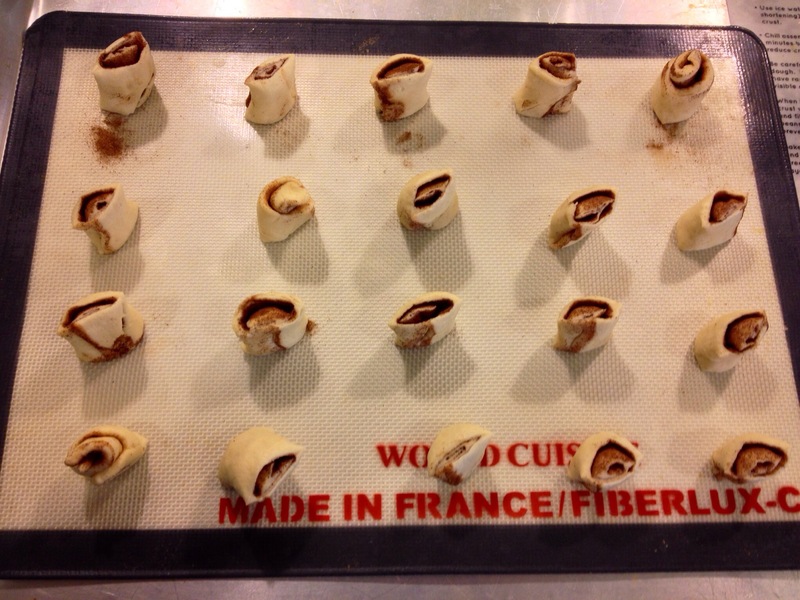 Cut each roll of dough into 10 sections, making 20 miniature little rolls. Place the miniature rolls on a cookie sheet, standing them on their ends. 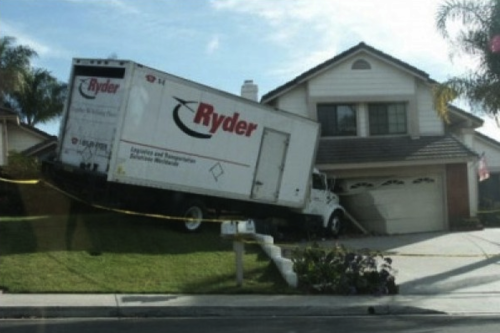 You may need to smash them down a bit to get them to stay upright. Swearing helps during this step. Each one of these rolls would be a feast for a leprechaun. Place the rolls in the oven and bake for 10-12 minutes. While we wait for the oven to do its thing, let’s mix up the icing. 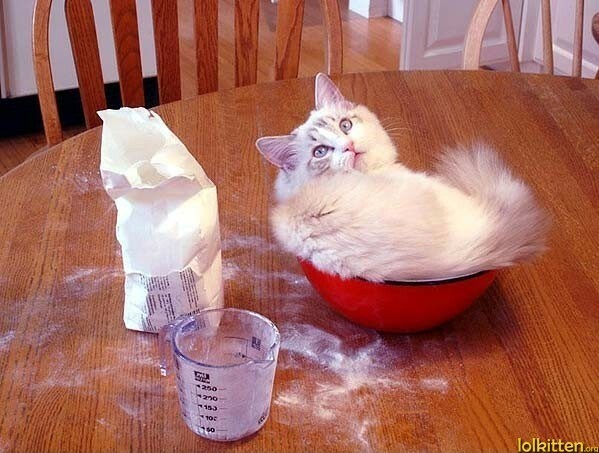 In another small bowl, slowly add the milk to the powdered sugar a little bit at a time, whisking constantly. Stop adding milk when it looks like it’s supposed to. And what’s that, you ask? Oh come on, you MUST have had a cinnamon roll at some point in your life. Remember what the icing was like? Well, make it look like that. Mmm, icing. Or is it frosting? I can never keep them straight. Remove the rolls from the oven, place them piping hot on a plate, drizzle some icing on them, and… I’ll let you figure out the rest. 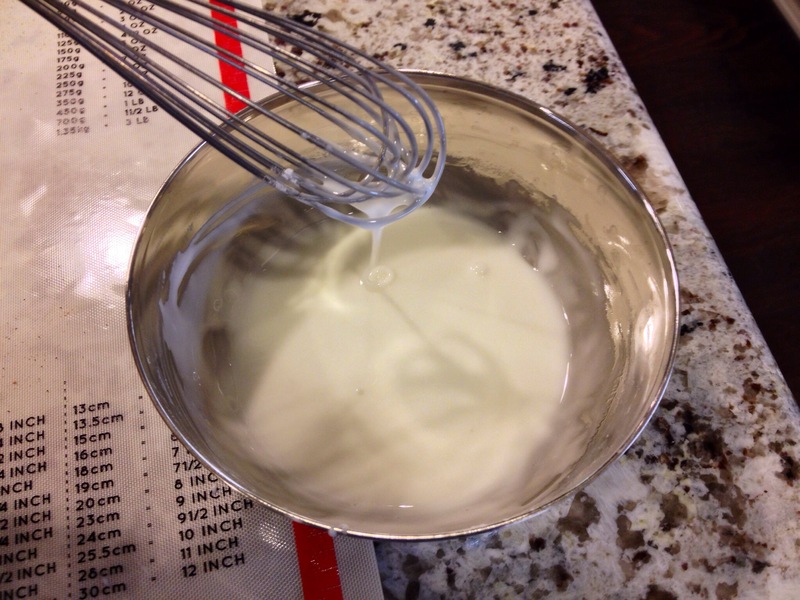 Preheat oven to 375 degrees F. Mix together milk and powdered sugar to make frosting, set aside. 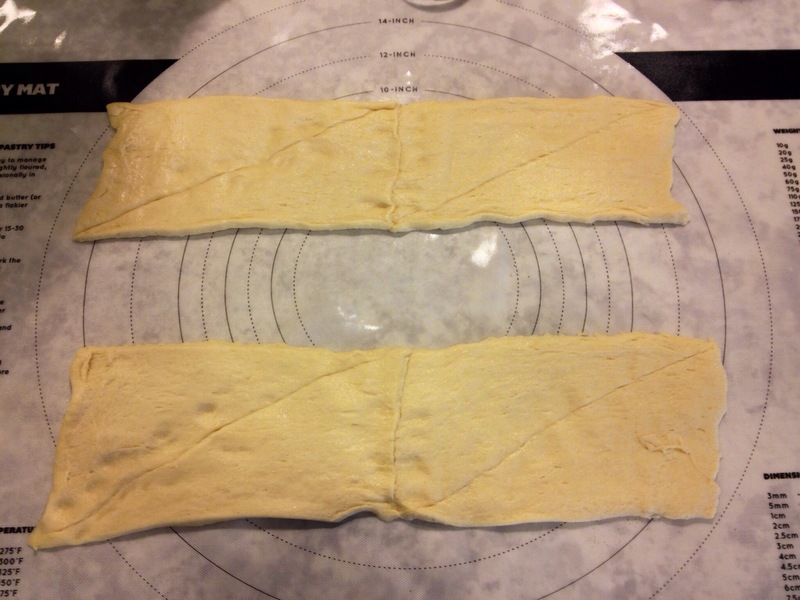 Unroll crescent rolls and arrange into two rectangular sections, sealing diagonal seams in both. 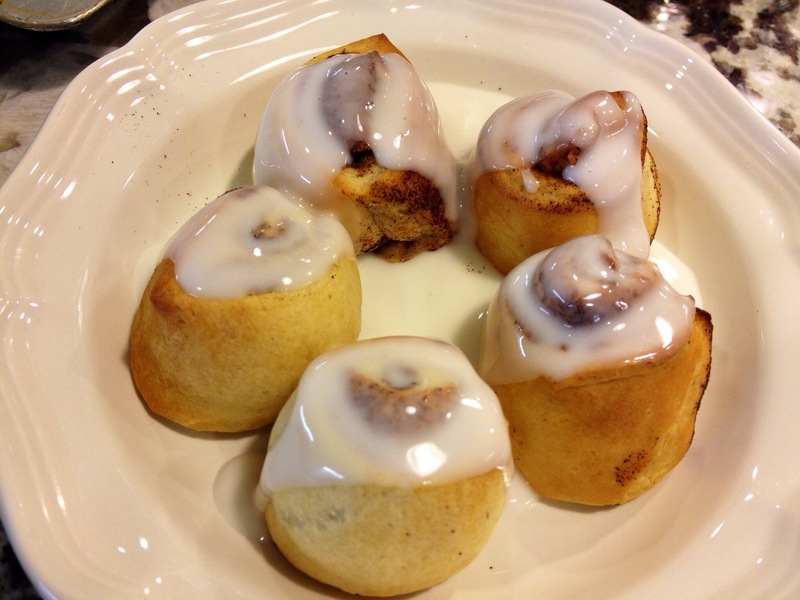 Brush with butter, sprinkle with cinnamon and sugar, and roll up. Cut each roll into 10 sections. Lay flat on a baking sheet and bake for 10-12 minutes, top with frosting. I’m glad I don’t live near a Pappadeaux. If I did, I’d be so huge you’d need a forklift and one of those canvas slings for transporting orca whales to get me out of the house. Pappadeaux isn’t exactly the last word when it comes to Louisiana-style cooking, but this restaurant chain based in the Southern U.S. sure does know how to put together a great plate of food. I pretty much grew up in California. This means that I take quality Mexican food for granted, I have no idea what a calzone is, and I think jambalaya is supposed to be made with pasta. One day, many moons ago, I got the chance to visit New Orleans and do some restaurant hopping in the French Quarter. My eyes (er, taste buds) were opened to the world of Creole cooking, and it immediately became one of my very favorite types of food. Although I don’t find myself in New Orleans very often, I do visit Houston regularly with my Texas-sourced better half. Every time we go I beg and plead and whine and grovel until someone drives me to Pappadeaux – my favorite Louisiana style restaurant not actually in Louisiana – just to shut me up. 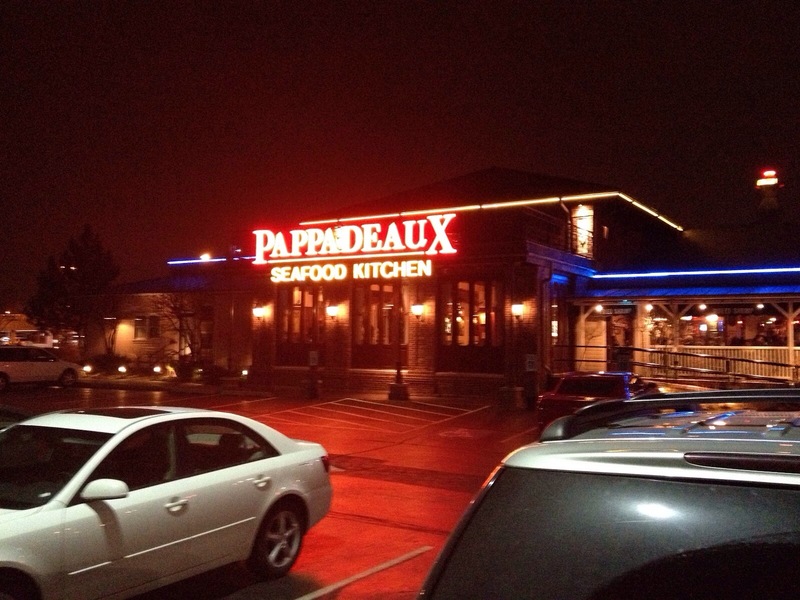 Pappadeaux, pronounced ‘poppa dough’. I think. The menu at Pappadeaux is fairly extensive, but I don’t really care about most of it. It’s all very good indeed (yes, I’ve tried quite a number of dishes), but for me it’s all about the crawfish. Mmmmmmmmmmm, crawfish. Crawdaddies. Mudbugs. 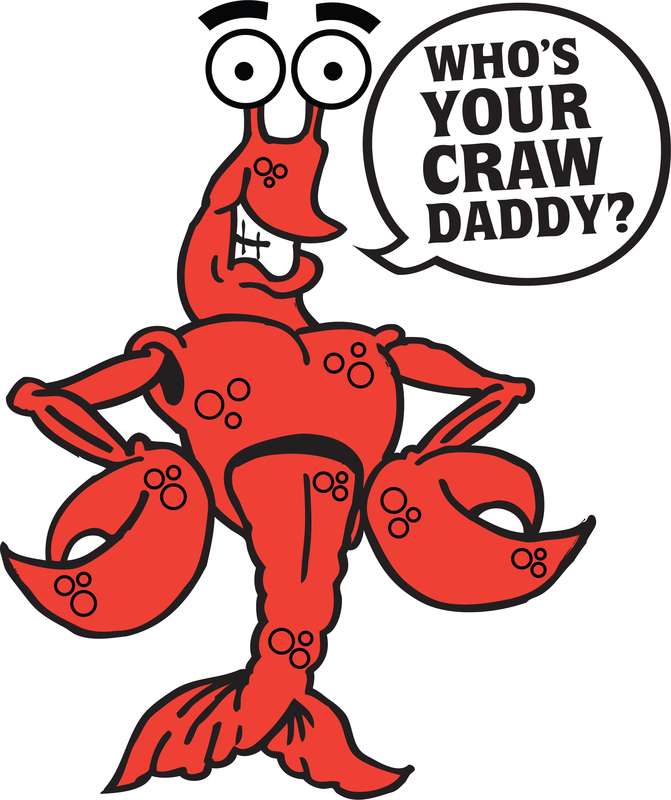 For the sake of my fellow clueless Californians, I’ll explain what crawfish are. They’re small freshwater lobsters with a flavor similar to both prawns and saltwater lobsters, but as far as I’m concerned superior to both. 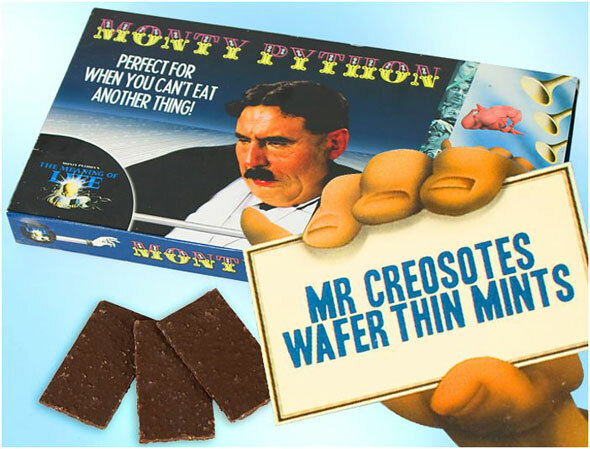 They are less rubbery than regular lobster and more flavorful than prawns – a perfect balance. 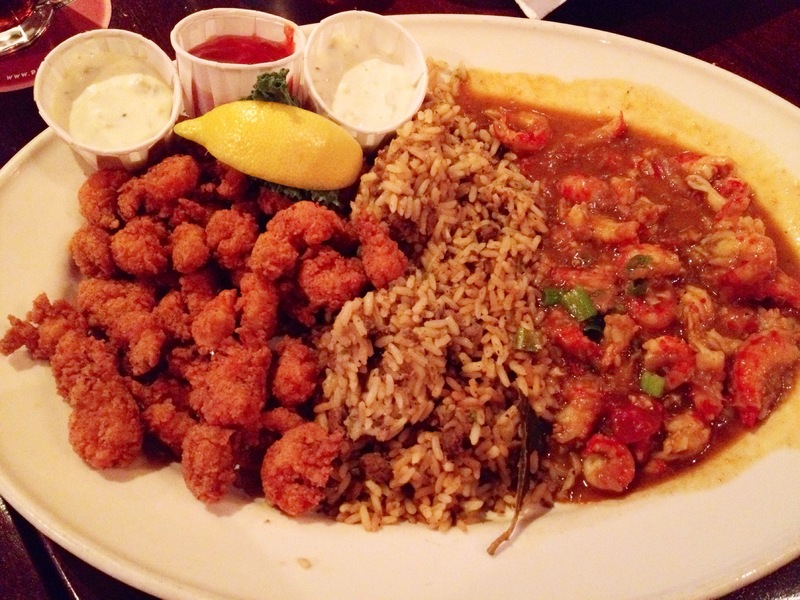 Pappadeaux prepares their crawfish a few different ways, but my favorites are fried and étouffée. Both of these appear on their “Crawfish Platter” along with a heap of dirty rice. Bingo. Oh yeah, salad. I guess it’s important. Shortly after taking my order, the waiter brings over… a salad? 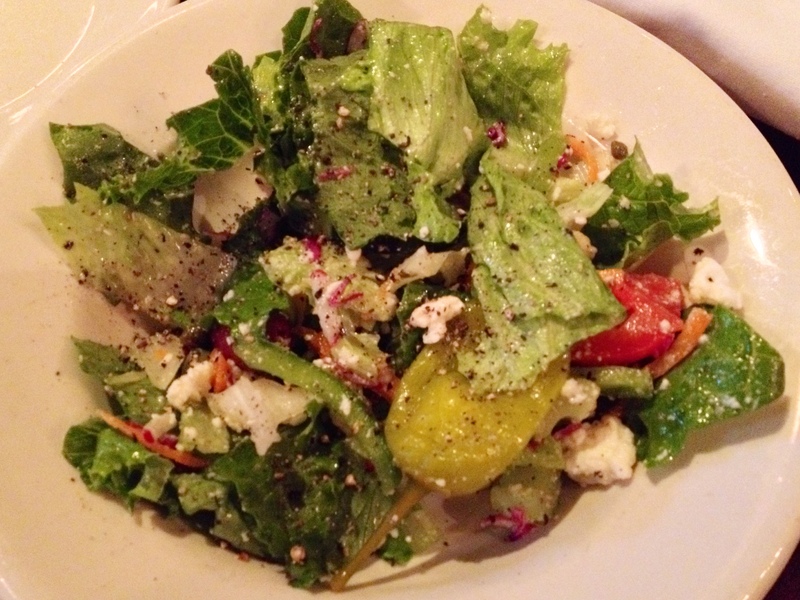 Oh, right, someone else at the table must have ordered a Pappas Greek salad. Wait, since when have there been other people at my table? Hm. They were probably the ones that drove me here, so I suppose I should be nice. Ok fine, I’ll play along and eat some green stuff. Hey, it’s not bad! It’s severely lacking in crawfish of course, but besides that it’s excellent. There’s plenty of olives, peppers, and feta to go digging around for, but not too much. The dressing is tangy and well-portioned, and the lettuce is as fresh and crisp as can be. It’s a nice way to wile away the time until the star of the show arrives. Ah, and here it is. Crawfish! Just looking at this picture makes me happy, happy, happy. Finally. I love this dish so much it’s hard to describe. Not because I lack the words – I’m just too busy eating it. The fried crawfish are crispy, light, flavorful, and not the slightest bit greasy. The breading is beautifully spiced and has a bit of a kick to it. The étouffée is creamy, rich, bursting with flavor, and not at all bursting with annoying vegetables or sprouts or any of the other silly things Californians feel obliged to ruin their food with. They know how to do things right around here. Speaking of right, the dirty rice is also very excellent and serves as a perfect complement to both styles of crawfish. Ok, ok, time out. Take some deep breaths here. I have to slow down on the chowing or I’m going to blow out an O-ring. Pappadeaux is one of those places where I would stuff myself unconscious if I didn’t specifically make an effort to stop eating halfway through the meal and take the rest home for leftovers. As long as you use a gentle hand with the microwave, crawfish will reheat pretty well. Even taking into consideration my irrational bias for both crawfish and Cajun food, Pappadeaux earns a glorious 28 out of 31 fried mudbugs. They really know what they’re doing in the kitchen at this place, and they are consistently above average – especially for a chain. Pappadeaux is a 100% for sure recommendation, so if you are traveling in the region you really should try and look one up. There’s even a Pappadeaux inside Houston Intercontinental Airport, should you find yourself on a stopover there with a grumbling stomach. As for me, I will definitely be back. Oh yes. And that’s what I have to say for myself. Excuse over. Now, back to blogging. My wife and I decided that our old house, although overflowing with charm and history, was also overflowing with our stuff. Combined with a severe case of new house envy, the fact that our garage was turning into a passable representation of the warehouse at the end of Indiana Jones pushed us over the edge. And just like that we decided to get rid of our old house and empty a bucket of cash on a shiny new one. Fast forward a seeming eternity later, and we are finally settling into our new home. Our furniture is all here, we have found most of our clothes, and although there are half-unpacked moving boxes everywhere we seem to be winning the war against chaos. The pantry is full of food, the refrigerator finally works, and the kitchen is all set up and ready to go. Halle-frickin-lujah. The new fridge is bigger than our old closet. 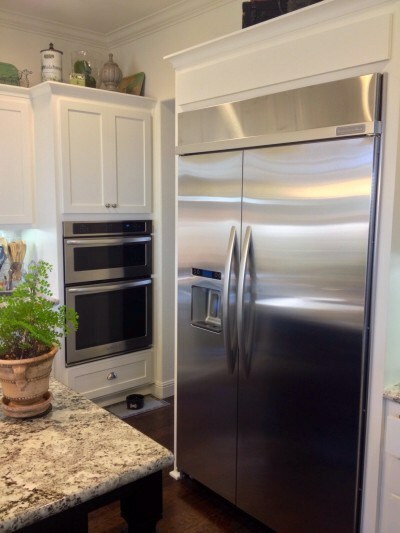 As fortune (and our checkbook) would have it, our new kitchen is considerably larger and more fabulous than our old one, and it’s packed to the brim with all the latest and greatest features a slightly competent home chef could want. I have (somewhat arrogantly, I suppose) begun referring to the kitchen as “my office”, because it’s the first place in the new house that began to feel like home. 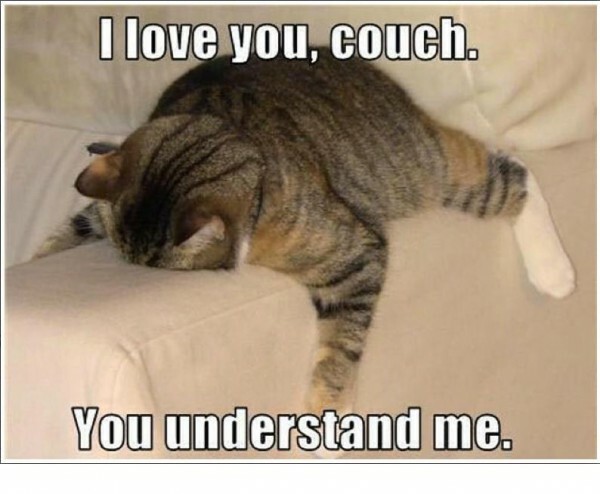 Actually, the couch was probably first, but that’s neither here nor there. 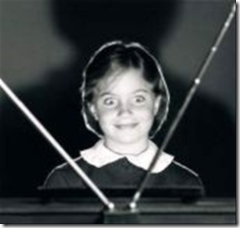 Besides, this is a food blog, not a place where I gush about how awesome Sony flatscreen TVs are. They are awesome though, the 3D definition is remarkable. Sorry, distracted by electronics. Where was I? Ah yes, kitchens. All of this got me reminiscing about the kitchen in our old house, and the eleven years of cooking, mess-making, dish washing, successes, failures, and quirks that I grew to know and love. There was that back burner that never seemed to want to light, and the unevenly heated oven was always about ten degrees off. The bottom drawer in the island had a cruel sense of humor; it enjoyed suddenly slipping off of its rails in gleeful attempts to crush one’s toes while one was rummaging around in it. And how could I forget about the microwave? That stupid, stupid microwave with only a handful of working buttons was the bane of my existence on more than one occasion; I won’t miss it. Happiness is an alphabetized spice cupboard. In spite of the faults of our old kitchen, I find myself remembering it fondly. It did certainly have character, no doubt about that. I don’t mean to imply that our new kitchen doesn’t have character, it’s just that I don’t know it as well. We are close acquaintances on the way to becoming friends, and I do very much enjoy spending time there. The well-made cabinets have loads of space for all my plates and measuring cups and nerdy kitchen gizmos, and none of the drawers seem interested in playing sadistic games of “This Little Piggy”. 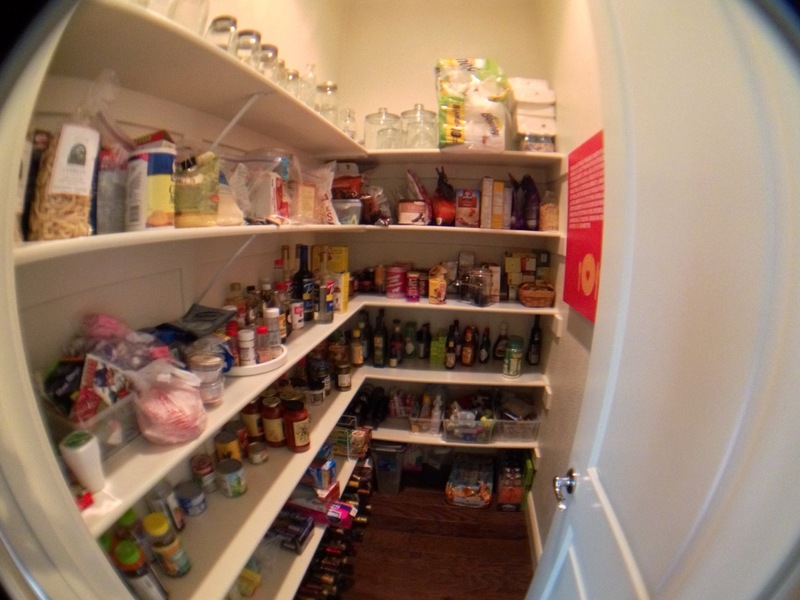 The walk-in pantry is a godsend, and honestly I have no idea how I ever lived without one. It’s like our very own miniature convenience store where everything is free. The image isn’t distorted. The walls actually curve like that. 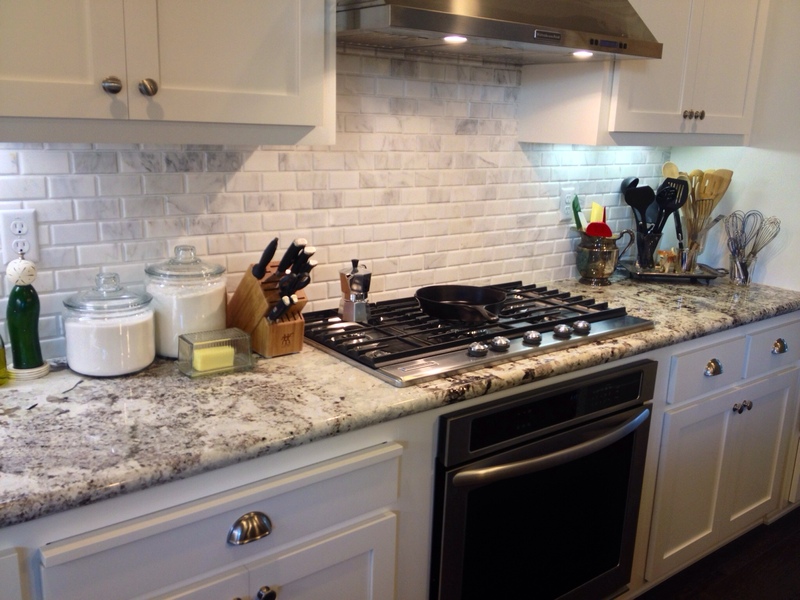 The rock-candy-like countertops look good enough to eat, and they stretch on for what seems like miles. 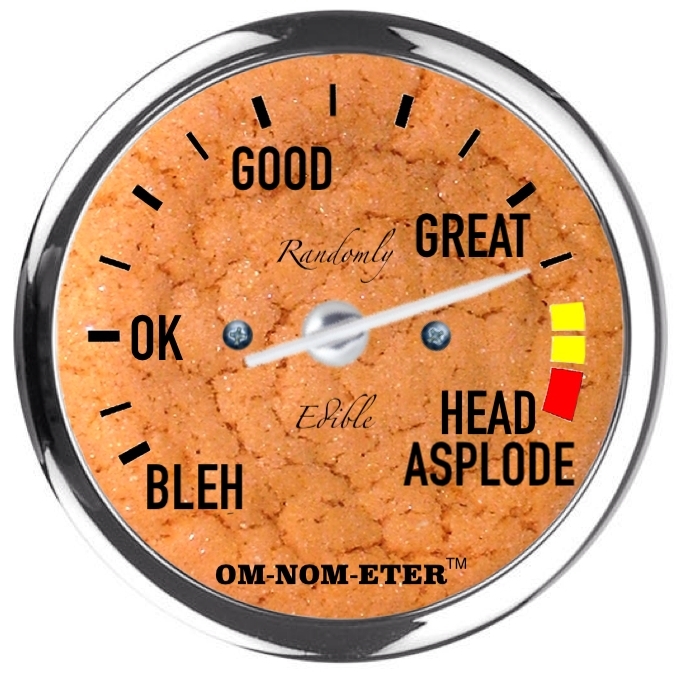 All the better for making messes upon. 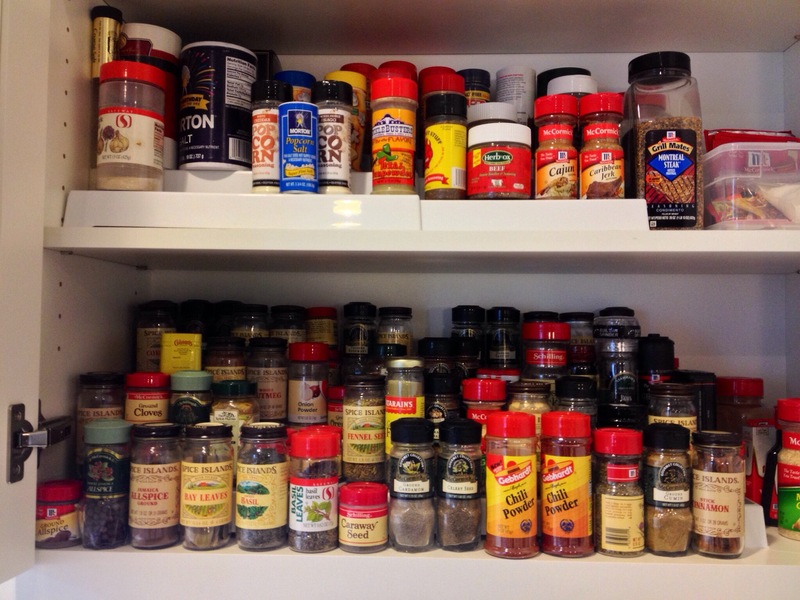 There is room enough for all of the spices to be in a single cabinet (gasp! ), and the gas stove has twice as many functional burners as I’m used to. There are two ovens (three, if you consider the fact that the microwave is also a convection oven), which means both the main course and dessert can be burned to a crisp at the same time. As much as I’ve waxed poetic about my old kitchen, I’m looking forward to a fresh start in the new one. Here’s to many upcoming evenings and weekends puttering around in the pantry, experimenting with the bevy of different ways my new fangled ovens can become hot, and generally just getting to know my way around. I can see the future, and it looks delicious. Nothing says elegance like a bouquet of spatulas.